#1 rated app in Intuit’s ecommerce category, Webgility integrates with 100+ ecommerce platforms so retailers and brands can manage their business data from one app. Once you’re connected, Webgility will automatically keep track of your orders, inventory, revenue, expenses and fees, products, inventory, and customers across all channels. 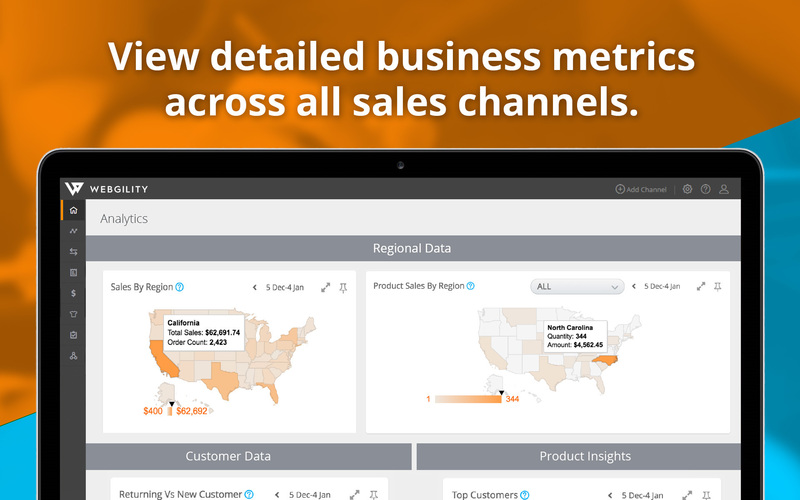 Webgility seamlessly syncs your sales, expenses, fees, and customer data across all sales channels. 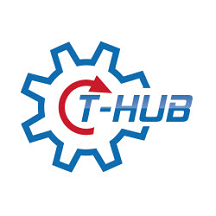 It accurately and automatically posts data into QuickBooks from 3dcart down to the individual sale, providing financial reports of your entire business for strategic insights. 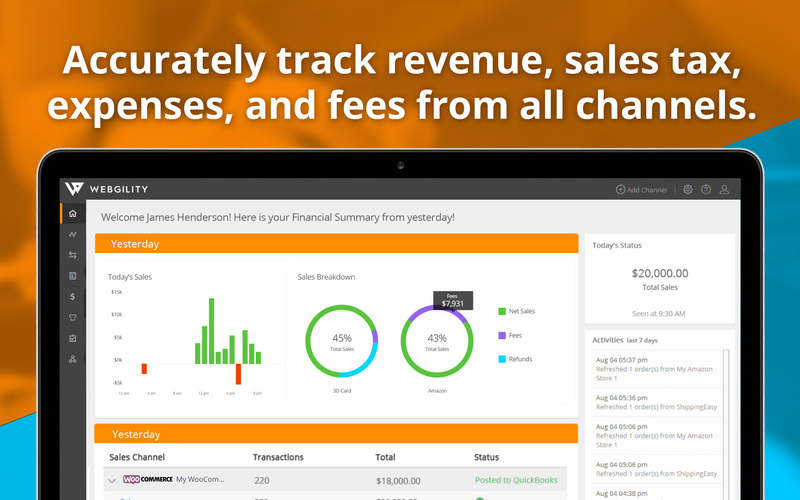 Accounting automation - Automate and schedule accounting busywork by tracking and syncing 3dcart sales and expense data directly into QuickBooks. 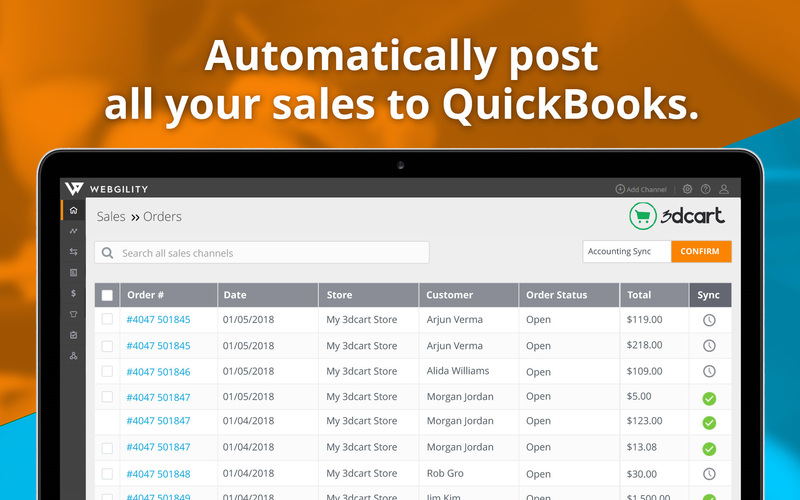 Save time with automation - Manage your online orders, payments and customer datat automatically all from one app—no more manual data entry. What will you do with the time savings? 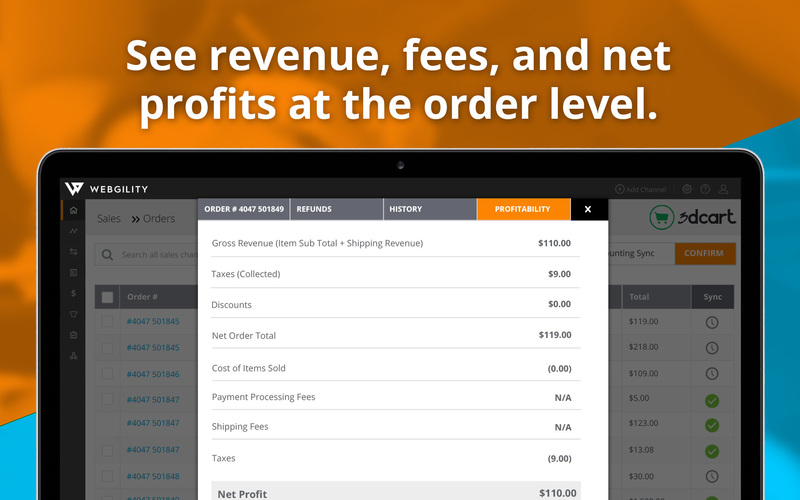 Grow your business - Our powerful dashboard provides a single view of your ecommerce processes via accounting automation data from all sales channels and apps into one place, so you can make better informed decisions.